Apple CEO Tim Cook took to Twitter on Friday to mark what would've been the 62nd birthday of his predecessor, company co-founder Steve Jobs. 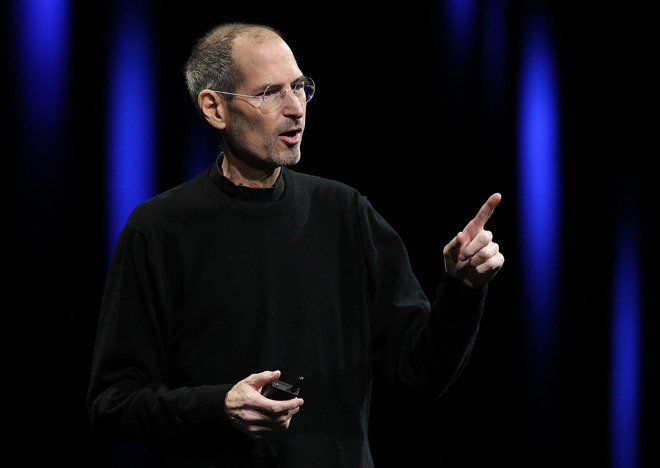 "Remembering Steve, whose words and ideals will always inspire us," Cook wrote. The executive added a quote by Jobs himself, "There is no reason not to follow your heart." Cook regularly posts on Twitter whenever an anniversary from Jobs' life arrives, such as his birthday or his death from pancreatic cancer on Oct. 5, 2011. Jobs founded Apple along with Steve Wozniak and Ronald Wayne in 1976, initially seeing success on the back of the Apple II and Macintosh. He resigned from the company in 1985 amid internal conflicts, however, and would only return in 1997 after Apple bought out NeXT. The executive was credited with turning Apple into the multinational giant it is today, thanks to profits from the iMac, iPod, iPhone, and iPad. Cook was hired to manage operations during this period, radically overhauling supply and manufacturing, and got an early taste of the CEO role when Jobs went on a medical hiatus in 2009. By January 2011 Jobs was on his third medical leave, relegating his position mostly to high-level decision-making while Cook handled daily affairs. Jobs resigned and handed over the reins in August, dying just six weeks later. Critics have sometimes complained that Cook and Apple are still living in the shadow of Jobs, unable to launch the same kinds of breakthrough products. Indeed the auditorium at Apple's new campus, Apple Park, is named the Steve Jobs Theater.